WASHINGTON, D.C.—I was wandering around the city today and remembered there are some sculptures outside the National Museum of Women in the Arts that I wanted to check out. What a treat. The busy stretch of New York Avenue between 12th and 13th Streets has gotten a festive facelift. 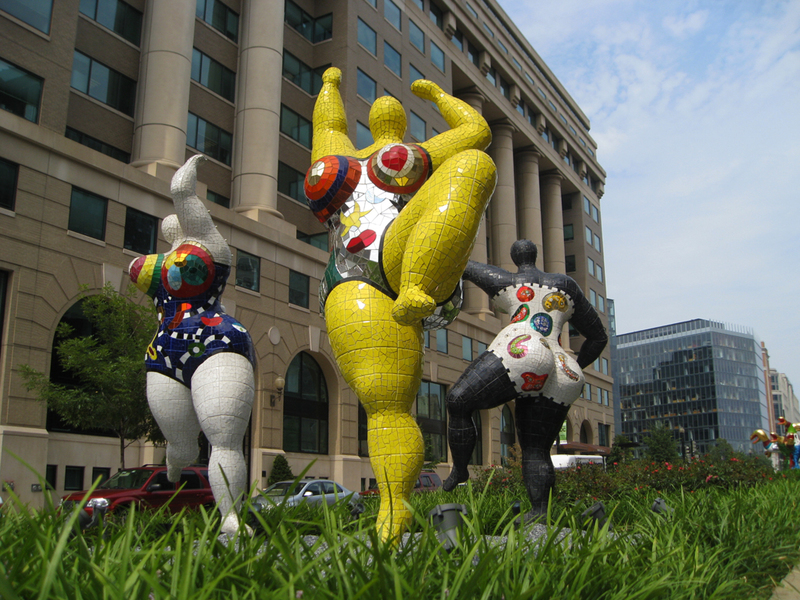 The landscaped island in the middle of the thoroughfare features four sculptures by artist Niki de Saint Phalle (1930-2002). The installation is appropriately named “Dancing in the Streets,” which is what the exaggerated mosaic tile figures appeared to be doing. 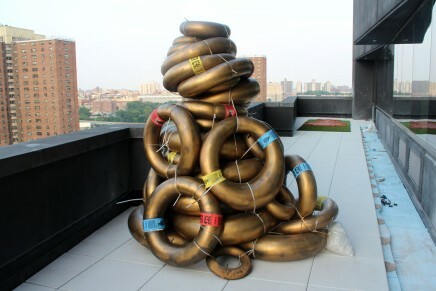 The public art space sits adjacent to the NMWA which debuted its New York Avenue Sculpture Project in Spring 2010. The museum calls the effort the city’s first and only major outdoor art exhibition dedicated to the work of women artists. 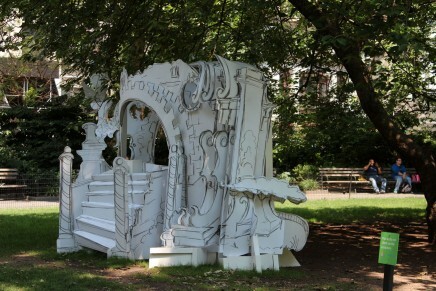 The intention is to feature rotating installations. 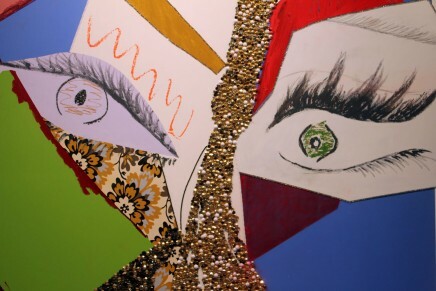 De Saint Phalle’s work was included in the opening exhibition and has recently returned to the corridor. 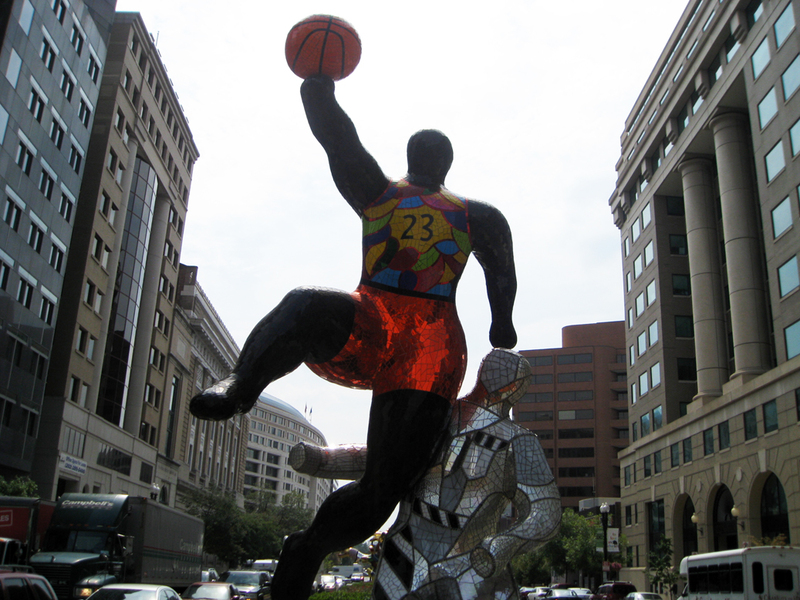 “Dancing in the Streets,” was unveiled March 26, 2011, and will remain on display through October 2011. 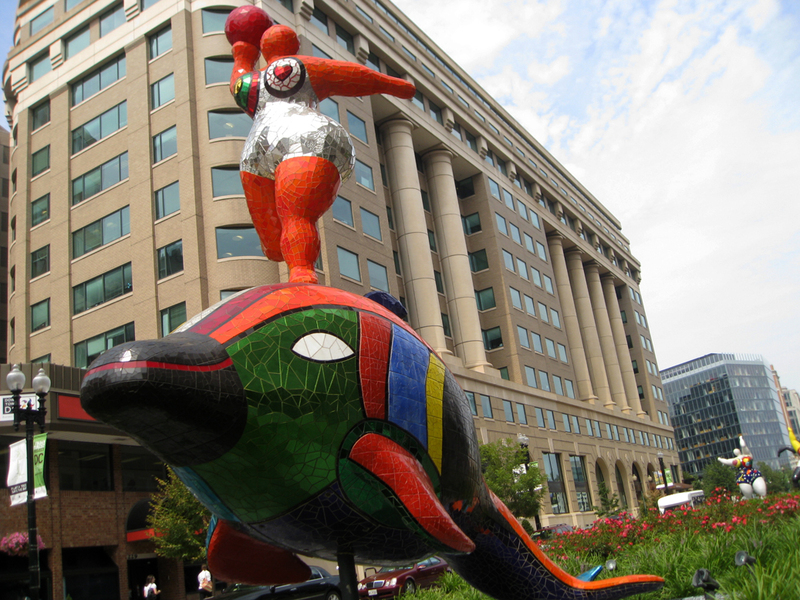 “Nana on a Dolphin,” 1998. Above, inset, Detail of “Les Trois Grâces (The Three Graces),” 1999. “Arbre Serpents (Serpent Tree),” 1999. “Les Trois Grâces (The Three Graces),” 1999.